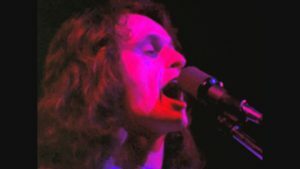 First issued in the UK in 2012, the Stateside Blu-ray edition of Yes: Yessongs, the 1975 film capturing the seminal Seventies pro-rockers during their 1973 Close to the Edge Tour, remains a respectable but unremarkable concert offering. 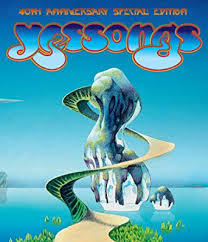 Featuring one of the strongest line-ups in the band’s ever-altering roster of some 40-plus years—Jon Anderson vocals, Chris Squire on bass, Steve how on guitars, a glitteringly-robed Rick Wakeman on keyboards/synthesizer, and Alan White on drums—Yessongs offers nine songs, highlighted by the pre-Close to the Edge I’ve Seen a Good People and Roundabout, both from 1971’s Fragile. The Blu-ray features a restored high-definition transfer from a 16mm negative in the original 1.33:1 aspect ratio, abetted by the original mono sound mix and a newly created DTS mix. Yeah, it all looks and sounds better than previous editions, but there’s something comfortable to be found in the still-shaky audio presentation, grainy appearance and old-time burn marks and nicks that were present in the original celluloid presentation.